Direct Vent Heating - Contact Your WNY Heating Experts Today! No duct work? No problem. 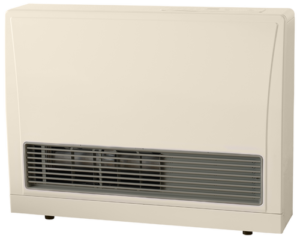 For those customers without duct work, we have direct vent heaters that can warm your room. These direct vent wall furnaces are perfect to heat that cold space in your home. We proudly offer Rinnai wall furnaces for those hard to heat spaces! Schedule an estimate with one of our heating specialists today! Are You Looking To Get An Estimate Or Need Some Service? Transform any living space with self-adjusting heat that keeps room temperature consistent, from floor to ceiling. Rinnai EnergySaver® Direct Vent Wall Furnaces are ideal for hard-to-heat areas like room additions, sunrooms, finished basements, or for providing whole-home heating.